Waste disposal is reaching crisis proportions in the Philippines. Landfills and rivers are overflowing with garbage. Piles of garbage obstruct sidewalks or are dumped on vacant lots, left to rot until they smell and attract hordes of flies. We know that this is an existing concern in our country. What many of us do not know is that this massive garbage problem is, in fact, a P73 billion industry. In 2016, 40,000 tons of garbage were collected every day. This totaled 14.6 million tons of garbage per year. If each kilo only cost P5 for disposal, the total cost in waste disposal for 2016 was an outstanding P73 billion. The money is used to pay the local government, the garbage haulers and the gate fee at landfills. It has even increased this year because the usual P5,000 cost per truckload of garbage with five cubic meter capacity is now P8,000. The yearly volume of waste generated is expected to increase from 13.48 million tons in 2010 to 16.63 million tons in 2020. In Metro Manila, averages of 9,000 tons of garbage were collected per day from 2012 to 2016. In just five years, daily garbage collection in Metro Manila has reached 93.8 million cubic meters. This is due to rapid urbanization, economic growth and development, changes in lifestyles and consumption patterns. Aside from the massive amount of garbage generated, there are also the problems of improper disposal and lack of landfills. There are more than a hundred garbage hauling operators in Metro Manila but only three landfills - the Quezon City Sanitary Landfill, Navotas Sanitary Land Fill and Rizal Provincial Sanitary Landfill. New sites are hard to find and are much farther away from Metro Manila. The nearest available landfill is in Montalban, Rizal and it has already reached its maximum carrying capacity, way before 2022 when it is supposed to reach its limit. Uncollected garbage, about a third of the solid waste generated in the cities, often ends up in drains, causing flooding and an increase in the population of rats, mice and other pests. 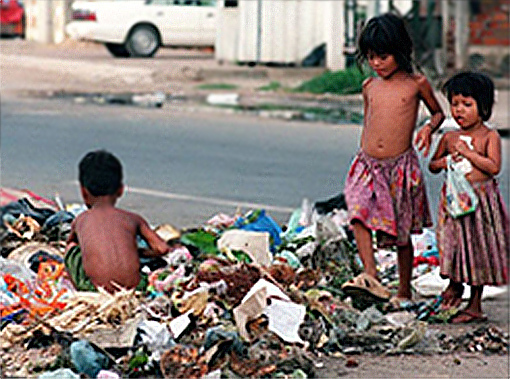 The urban poor suffer most from the health problems resulting from poor management of solid waste. The government has the main responsibility for ensuring waste is properly disposed of to avert health and environmental problems. But every Filipino can and should help by properly segregating garbage and by reducing, reusing and recycling.